Fornäs, Johan (2017): Defending culture: Conceptual foundations and contemporary debate, Basingstoke/New York: Palgrave Macmillan, 71-84. Ekström, Anders, Johan Fornäs, André Jansson & Anne Jerslev (2016): “Three tasks for mediatization research: Contributions to an open agenda”, Media, Culture & Society, 38:7, 1090-1108. 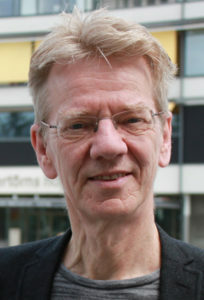 Fornäs, Johan (2016): “The mediatisation of third-time tools: Culturalising and historicising temporality”, International Journal of Communication, 10, 5213–5232 (http://ijoc.org/index.php/ijoc/article/view/5082/1821). Fornäs, Johan (2014): “Culturalizing mediatization”, Andreas Hepp & Friedrich Krotz (eds): Mediatized worlds: Culture and society in a media age, Basingstoke: Palgrave, 38-53. Fornäs, Johan (2014): Chapter 21 “Mediatization of popular culture”, Knut Lundby (ed. ): Mediatization of communication (Handbooks of Communication Science 21), Berlin/Boston: De Gruyter Mounton, 483-504. Fornäs, Johan (1995): Cultural theory and late modernity, London: Sage, 1-17, 80-94, 210-221.